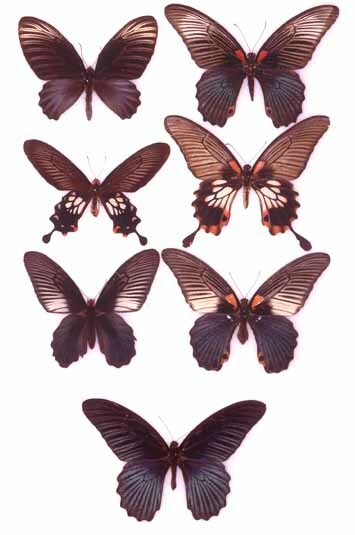 The photo shows unpalatable swallowtail model species (left) and palatable mimetic forms of female Papilio memnon (right). At bottom is the Papilio memnon male. This polymorphic, female-limited Batesian mimicry was first described by Alfred Russel Wallace (1865).